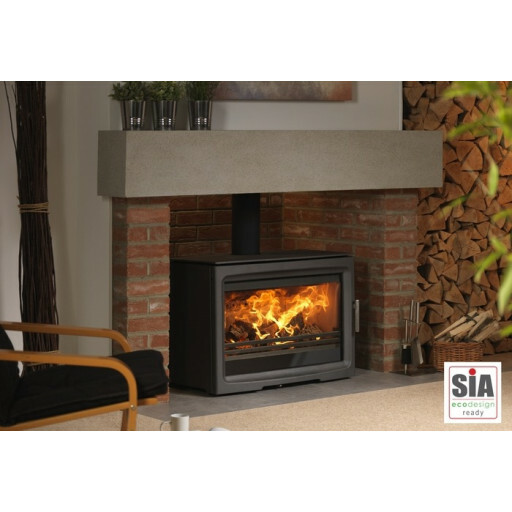 PureVision PV85 HD MK Active baffle high definition multifuel stove The fantastic new technology gives a High Definition flame area that puts all other stoves to shame. Very controllable, this stove can be turned up & down to give the desired heat This is capable of burning wood, coal or smokeless fuelsThe Purevision HD range comprises three freestanding models with stand and log store options available, and three inset stoves with three or four sided trims. The models contain technologically advanced patent pending design features resulting in super-clean burning performance and high efficiency of up to 82.2%.With a clean all new aesthetic design Purevision HD stoves coordinate seamlessly with traditional or modern room and fireplace designs. Huge glass windows on all models, kept clean and clear by the extremely powerful air wash system, allow the best possible High Definition viewing of the fire. 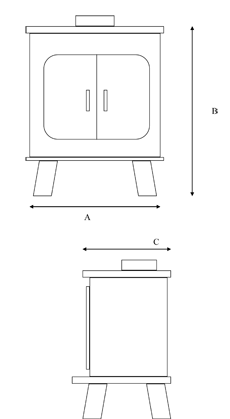 As an alternative look the freestanding stoves can be mounted on leg stands or taller log stores for ease of use and convenience.A key feature of Purevision HD stoves is the ease of use and simplicity of operation – single lever burning control for automatic air distribution; self locking door latches, self-adjusting if the door seal wears, and rotary riddling grate for convenient de-ashing.Only premium materials are used throughout the appliances including a new cast ceramic firebox liner set having been hard tooled specifically for each of the stoves.